When I hear the term “book club,” it sounds like a dream day in the life I was meant to have, but haven’t found yet. We meet in someone’s warm, cozy living room (not mine if it means cleaning it!) that smells of chocolate chip cookies and cinnamon potpourri. We’re all dressed in jeans and trendy tops with coordinated jewelry that makes us look a casual party in the Chico’s catalogue. None of us are overweight, tired, or filled with angry stories about our jobs, spouses, children, or life in general. We have no problems of our own, so we’ve gathered together to discuss the trials and tribulations of our grown-up imaginary friends, created by close associates who vary from Harper Lee and William Faulkner to John Grisham and Lee Smith. The wine flows freely and so do our tongues; we give equal time to the voices of wise Scout, simple Benjy, dreamy Ivy and a host of legal eagles. We read our favorite passages, we debate whose pain and suffering is greatest, we cry when they “kill our babies.” We relive bits and pieces of these lives we know as well as our own, and our love for one another grows stronger with each new book. Sounds wonderful, right? I have never “belonged” to such a group, but my name has been on the list of several kinds of book clubs. In the 90s, there were several heated arguments between my husband and I over my “memberships” in the Book-of-the-Month club, the Doubleday Book Club, and some other book club that specialized in paperbacks. It seems that although I could always find “alternate” books to mark as my selection each month, the automatic picks looked good, too, and I too often hid them in the back of my closet instead of sending them back, causing some pretty astronomical bills by the time I got “caught.” There seem to be few books on Oprah’s Book Club list that I haven’t read, and I can honestly say I’ve never read anything with her endorsement that was less than impressive. I currently belong to a Goodreads off-shoot called “On the Southern Literary Trail.” I love reading the discussions and have added a few comments myself, yet I don’t seem to be “technologically savvy” enough to add the books I read or actually start a discussion on my own. Talking about books was always a comfortable way to make new friends in new places; to be honest, people who don’t like books probably won’t like me, so it’s a safe and easy way to find “my” people quickly. It’s also been an easy way to stay connect to those friends no matter where in the world our jobs and families might take us. With my friends in other states, usually one of our first questions is “what are you reading?” followed by the list of our own that we can’t wait to share. Books bring us together and keep us tied; characters we both love and hate create a kind of alternate universe of imaginary friends. Today on Days of Our Lives, the ladies of Salem engaged in a book club meeting that started out much like the one I described earlier. When the homemade doughnuts Jennifer shared turned out to be laced with her son’s marijuana, these well-dressed, educated women aged 30 to 70 began to eat like pigs, giggle like tweens, and tap into humor perhaps never before gleaned from reading Lewis Carroll. Looking much like a colorized version of when Andy arrested Aunt Bee and her church ladies from over-medicating themselves with snake-oil-elixir, this example of a ladies’ book club meeting looked to be pretty FUN as well. Which kind of book club do YOU fancy? 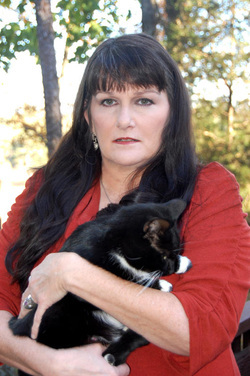 Adopted at birth, Elaine lived her first twenty years on her parents’ agricultural farm in rural southern Georgia. She was a public school music teacher for twenty-seven years, and continued to dabble with sideline interests in spite of her paid profession. Playing in her first band at age fourteen, she seemed to almost always be involved in at least one band or another. Elaine’s writing began in high school, publishing in local newspapers, then educational journals, then later in online fiction journals. 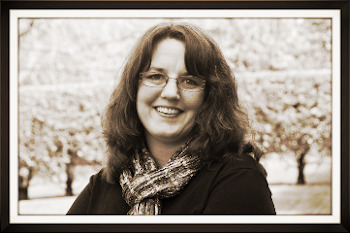 In 2008 she enrolled in the MFA program at Spalding University in Louisville, where upon graduation finished her second novel manuscript. Recently retiring after eleven years as a high school chorus and drama director, Elaine now lives in north Georgia with her husband, an ever-growing library of used books, and many adopted animals. 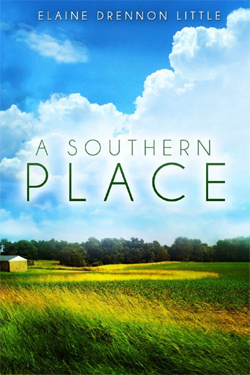 To enter to win a copy of A Southern Place, please leave a comment. Thank you Tara for hosting and Elaine for this lovely guest post! Here is the link for the giveaway - there are several raffles available to each participant and the giveaway ends at midnight August 28th. Hi Elaine,I belong to 2 book clubs on FB and love both of them. The members discuss books but also recipes, check in on each other letting someone lean on your shoulder when they hit a rough patch. It's a big group of friends that LOVE to read. I have a Kindle and would love to receive a copy of your book, A Southern Place. I have it on my wish list and would be thrilled to receive a copy. First, I apologize for this going up late. I commented on this last night I SWEAR---but none of my comments are showing up. Hi, Elaine. I have never belonged to a get-together-in-person book club, just mail order book clubs. I have also never joined in a virtual book club, but you make it sound like fun. Next chance I get, I'm going to check it out. Are there any in particular you would recommend? My least favorite genre is romance, and my most favorite is literary fiction, although I also like mysteries and thrillers. Any ideas? Congrats Linda Foust who won the giveaway- enjoy!! !